Welcome to Day 7 of our 12 Days of Children’s Books Gala Giveaway. I’m part of an amazing group of writer friends who specialize in writing engaging nonfiction for kids. We’re the Nonfiction Ninjas! Each day for for 11 days we’ll be offering you the chance to win a free children’s book. Great for your little ones, for the classroom, for homeschooling families, and for libraries everywhere, these books are AWESOME! And they’re written by these talented gals I’m fortunate to know as my writing buddies. Hip hip hooray for today’s featured book in our 12 Days of Children’s Books Gala Giveaway! One of you will be our winner for today and will be receiving a free copy of this fantastic book in your mailbox. Susie, thanks so much for visiting my blog today and offering readers the chance to win a copy of your incredible and brand new children’s book. Susie, can you tell us what your book is all about? THE BOOK THAT JAKE BORROWED is about a little boy and his library book that are in one sticky situation after another. First there’s the drip of a jelly sandwich that leads to the lick, lick, lick of a rat, and then there’s the cat and the dog, and that’s that for the book Jake borrowed. I was a school librarian and my students were terrible about taking care of their library books. I tried book care lessons and read book care stories, but when they returned their library books, they were a mess! After one especially frustrating day with a common theme of “It didn’t look like that when I put it in your book drop.” I decided to write them a book about taking care of a book. That night, around midnight, I woke up from a sound sleep to the first line of The Book That Jake Borrowed. I hope parents and teachers and librarians share stories of kids who are greeted with the smiling face of the “librarian they adore,” as they take responsibility for their book problems. To celebrate the release of THE BOOK THAT JAKE BORROWED, I’ve added a book trailer and activity guide on my website. CLICK HERE to enjoy! Thanks, Susie, for visiting my blog today. It was great to hear more of the “story behind the story”! 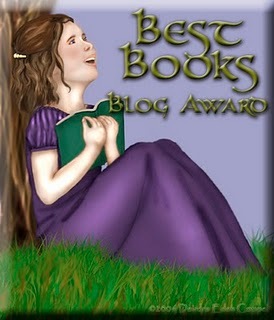 Be sure to stop back here on my blog tomorrow for Day 8 of our Gala Giveaway. You can enter your name for a chance to win our next featured children’s book. We’re giving away 11 amazing children’s books during our Gala Giveaway. And on Day 12, we’ll announce the winners, here on my blog. I hope you’ll be one of them! But hey…why wait until the giveaway is over to get your hands on this children’s book? It’s great for holiday or birthday giving and perfect for your kiddos to enjoy. It’s great for your school or classroom library, and makes a great holiday donation to your local library! You can buy it today on Amazon or at your favorite online bookstores! I love the humor of the book and the handmade illustrations are amazing! Yes, kudos to you, Susie, for being the author AND illustrator! This is a great idea to get books into the hands of young readers. How do I participate as an author to share my books? Hi Joan, this is an event my writing group is hosting. I’m sure you could round up some fellow writers to host a similar event. Good luck! Thanks, Nancy! I am so proud of this book. Susie, you have a real gem here. Congratulations! So is my entry only for today or every day? Only for today. Each day has a new opportunity to win! Sounds like a fun book! Congrats! This looks like the perfect book to start the year-some of the things I scrape off of books are beyond description!